Virginia | Lipcon, Margulies, Alsina & Winkleman, P.A. The job of a Virginia maritime attorney is to help those who have been hurt while working or traveling in and around ships or while performing work-related activities offshore. If you are working onboard a cruise ship, a vessel traveling on navigable waters or working on an offshore oil rig, you need to understand how maritime laws apply to you and how an attorney can help you if you suffer harm. Let Lipcon, Margulies, Alsina & Winkleman, P.A bring our decades of collective legal experience to your case. Maritime attorneys have legal knowledge that makes it possible to help people who work on docks, offshore oil rigs, ships and other vessels that navigate the waters of the United States and across the world. The laws that apply on land do not always apply at sea, and many injury cases are complicated by the fact that the ships or vessels may be owned by foreign entities. For example, instead of making a simple workers’ compensation claim and getting money from an insurer after being injured at a local job, a person who works on an offshore vessel may need to make a Jones Act claim. The individual might also need to determine how best to take legal action if employed by a foreign entity operating the vessel on which he or she was working. LMAW attorneys know U.S. laws, as well as the laws established by international accords and treaties that protect those who are hurt on the waterways. 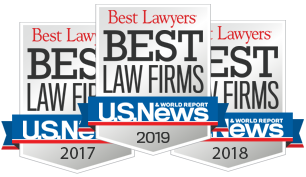 Whether you are loading or unloading a ship, working a few miles off the coast of Virginia, or halfway around the world when your injury happens, Lipcon, Margulies, Alsina & Winkleman, P.A. can help you. When you are represented by Lipcon, Margulies, Alsina & Winkleman, P.A., you will have a legal advocate who has been board certified by the Florida Bar Association in Admiralty and Maritime law. Our attorneys have devoted their careers to developing the knowledge necessary to help people hurt both on and offshore. If you live or work in the Virginia area, were working on an offshore vessel that left or docked in Virginia, or if you were on a cruise leaving or arriving in Virginia, you may have legal rights if you get hurt on U.S. or foreign waterways. There are many different laws that apply depending upon whether you were injured at work or injured while on a vessel for pleasure. Whether you were on the docks or offshore, and whether you are considered a seaman or a longshoreman will also affect what laws will potentially provide you with compensation. There are even laws that dictate what happens to victims of piracy and how they can get compensation for losses from those who are to blame. A maritime lawyer in Virginia can provide assistance with determining what laws apply to your case and how you can maximize your right to benefits and compensation after you are harmed. If you or someone you love needs a maritime attorney, call Lipcon, Margulies, Alsina & Winkleman, P.A today to get the advice and representation you deserve. Call us at 877-233-1238 or contact us online for a free consultation.